Altrincham & District Referees’ Society is the local branch of the Referees’ Association. Our members include referees serving all levels of the game, from junior grass roots matches through to FIFA international matches. This range of experience is of great benefit to all members of the society as we help each other to improve and develop. We meet once per month, running an outdoor training & development session led by FA Referee Tutors, followed by an indoor session covering a variety of topics during the season. In between the two sessions we have time for food and networking! Our programme includes training from Premier League and Football League officials, and is designed to be of benefit to referees from all levels. We also work closely with the Altrincham & District FA, and many of our members give their time to observing, mentoring and tutoring referees to aid their development. Please get down to Moss Lane to support your colleagues if you can. Please be aware that the Greater Manchester Marathon will result in travel disruption in parts of the district on Sunday 10th April. Plan your journeys accordingly. Details and a map are in the link below. 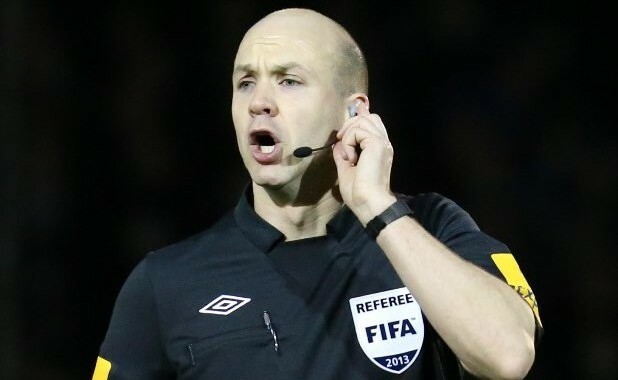 UEFA have today announced the full teams of match officials for UEFA EURO 2016, and we’re delighted to confirm that Anthony Taylor has been selected as an Additional Assistant within Mark Clattenburg’s team. Anthony and Mark are 2 of 12 English officials who have been named on the initial list for this summer’s tournament, and our congratulations go to all of them. The full list can be found here on the UEFA website.